Thank you to all of our current volunteers who make Sedgefield Harriers the superb club that it is. Our volunteers are marshals, time-keepers, dinner-organisers, committee members, coaches, parents, etc. etc. We are always looking for people to get involved so if there is anything here that appeals to you or you have skills that you can share then please don’t hesitate to get in touch. 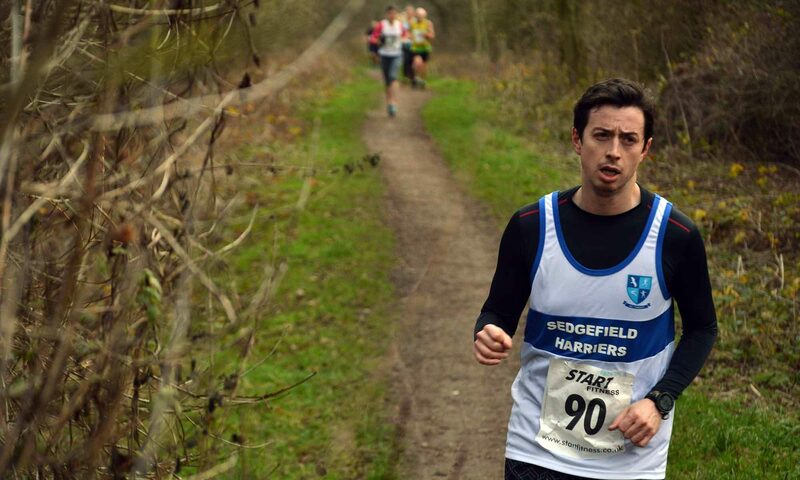 There are always opportunities for volunteering with Sedgefield Harriers…..
Sedgefield Harriers is a remarkable success story, just take a look around our website and you’ll find out why. But we don’t mind reminding you that in 2011 we were awarded Development Club of the Year by our national governing body England Athletics and then UK Athletics made us their Club of the Year. Locally the Northern Echo recognised us as Local Heroes Team of the Year and in 2014 we were awarded County Durham Sports Club of the Year. So, if you join us you will be joining a success story. Parents – we have a thriving junior section and we are always in need of helpers to assist coaches in running sessions. This is a tremendously satisfying thing to do. You will have the satisfaction of taking juniors from their introduction to athletics through finding their feet in the sport of their choice and going on and competing. Our juniors have so much talent that the sky is the limit, and you can be a part of that. Of course, we want our helpers to take the next step and become assistant coaches and maybe full coaches. This is in no way far fetched – it’s how most coaches start out. You don’t have to have been a champion to be able to coach, you just need enthusiasm. Without our helpers and coaches there wouldn’t be a junior club, it’s as simple as that. 18 – 25 Year Olds – and in this we’ll include students. This is a fabulous opportunity to develop and learn new skills and take a journey that will bring you rewards that you hadn’t thought of. It will also help you with deciding how you want your career to progress and help you with the skills you need to be successful in your career and through life. You will go places and meet people such as Olympic Athletes. You will probably take part and improve in athletics yourself. We will support you to take coaching qualifications. You will learn to be a leader and an instructor. By volunteering with us we may be able to help you with a college course or something like the Duke of Edinburgh’s Award. The ‘Time Rich’ – for whatever reason, we all have a time in our life when we are ‘time rich’ for a while. That can be frustrating or it can be a treasured time and for you we’d like it to be the latter. Whether you have found yourself temporarily out of work or whether you have retired, volunteering with Sedgefield Harriers will be rewarding. We will help you with training and gaining experience and when you are ready to get back into work it will be great for your CV. You will get a lot of satisfaction from working with us and you will probably end up participating too so it will be good for your health, fitness and confidence. In addition to this, it is very likely that you will have skills that will benefit us. It’s a win-win. How you can help us … What can you do? You will have skills and experience that will be useful to us. We are a voluntary organisation and we rely on the skills and experience of our members – so if you want to be involved let us know what you can do for us. But if you are offering an extra pair of hands and you want some suggestions of what we are looking for, well we need people for admin, social events, race and event support, time-keeping and officiating, marshalling, IT/web-site, grant applications, travel to competition, catering at BBQ etc., session support and coaching – among other things. It takes a lot to make a club like ours tick. So… it is the Olympics 2020 and you’re watching an athlete in a GB vest on the starting line of the 800m or the run-up for the javelin. They’re familiar to you but you’re more used to seeing them in a Sedgefield vest. You’ve known them since they were at primary school and they first came along on a club night, nervous and unfamiliar. You saw they had talent and you’ve helped them to realise it. It’s not all down to you but you’re part of the team that put them where they are now. How do you feel? A dream – well how did Jes Ennis start, and what was Mo Farah like when he was 12? If you like what you’ve read and you would like to get involved or simply would like to know more then please get in touch. This is by no means an exhaustive list. If you know someone who should be on here and isn’t then please let us know.